It is HOT! As much as I have been complaining about the lousy Summer, we are now having a long heatwave lasting days. I absolutely LOVE IT (except when I have to sit in the overheated black car). 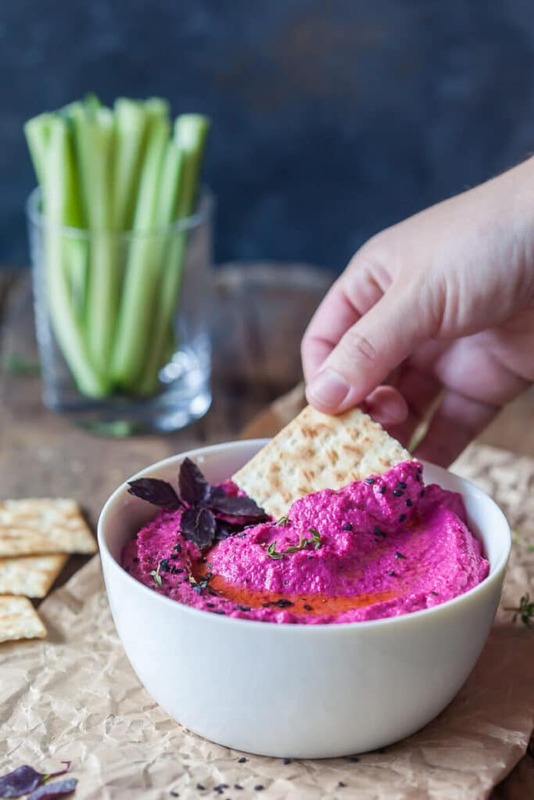 We’re talking little cooking, plenty of summer fruits and salads… and a side of this absolutely vibrant Hot Pink Beetroot Hummus! 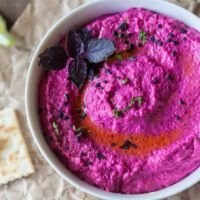 This hummus is pink and radiant, delicious and packed full of nutrients! The secret to this bright pink color? Cooked beetroot. Just a tiny bit goes a long way. 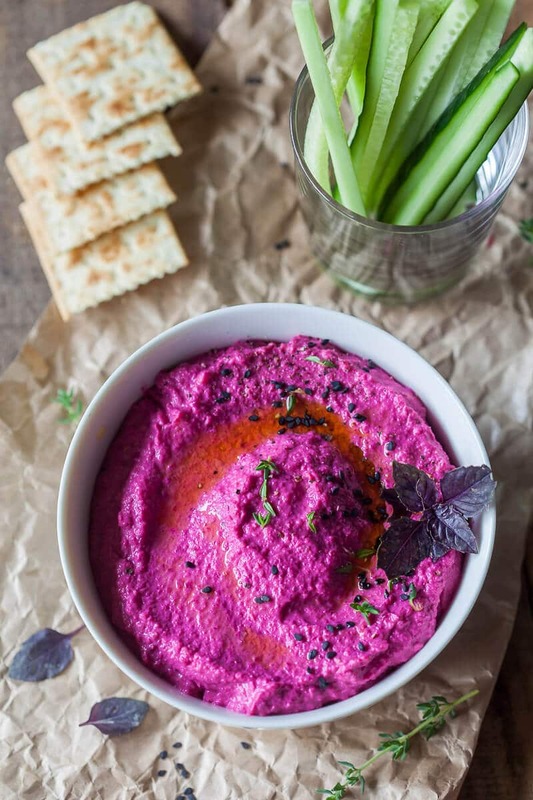 Now, I don’t actually like eating beetroot, but I absolutely love the combination in this Pink Beetroot Hummus! 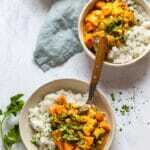 So if you’re like me, and don’t really like eating beets, I guarantee you will not even taste them in this recipe. The hardest part of the recipe is cooking the beets until soft, which may take some time. You can do this ahead of time, or even buy pre-cooked beets in your supermarket. We cooked our own beets, but used pre-cooked canned chickpeas, because no one has the time to soak and cook them, right? Then just take your ingredients, place them into a food processor and blend away until smooth. 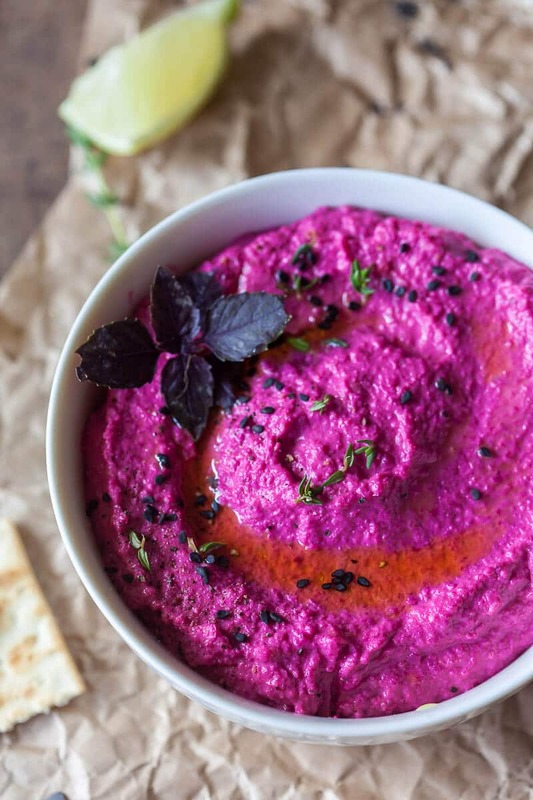 To serve place this bright pink hummus into a wide bowl, add a drizzle of olive oil and optionally some black sesame seeds and purple basil! Cook beetroot in a pot of water until fork-soft. When cooked, drain and cool down. Peel the skin off, slice the cooked beetroot and place into a food processor. To the food processor, add cooked chickpeas (we used canned, pre-cooked), finely chopped garlic, salt, pepper and lemon juice. Blend until smooth and creamy, then slowly add olive oil and mix again. Taste and if needed add more salt, pepper or lemon juice. 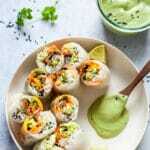 Serve with crackers or sliced vegetables. Will keep refrigerated in an air-tight container for about 4 days. 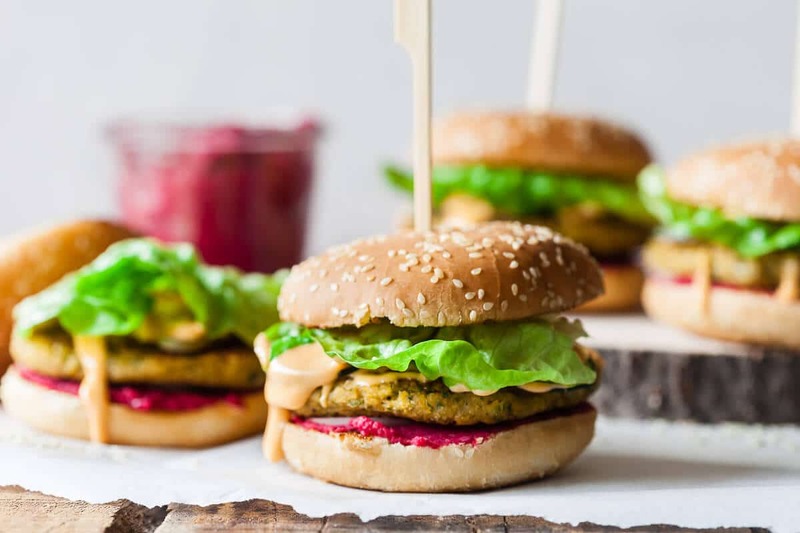 To shorten the preparation time, you can use pre-cooked beetroot and pre-cooked canned chickpeas. Sounds good! Have you tried using canned beets at all? I’m wondering how that would turn out to save even more time. Hi Kira, thanks for your question. 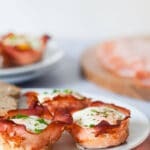 I have not tried the recipe with canned beets. Depends what you can get, I guess. If they’re canned in vinegar the taste will be off, and the texture of the beets will be a bit mushy, compared to whole cooked beets (or even oven-roasted). I noticed in our supermarkets they sell vacuumed pre-cooked beets in the produce section, perhaps that would work. So after picking a heck of a lot of beets from the garden, I cooked and pickled some. Then I made this! oh my !! 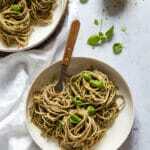 Gorgeous, sweet, earthy, garlicky, scrumptious ! I will have to buy beets from the shop all the year when I don’t have any, just to make this! I could live on this on a dessert island ! 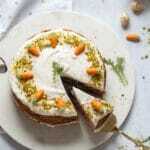 Thank you for this wonderful recipe !! !